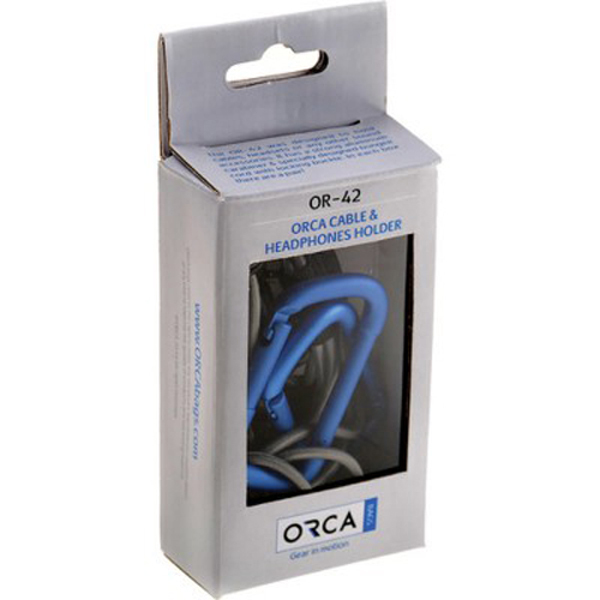 The OR-42 is a pair of bungee cables and spring-loaded carabiner clips that can be used to clip on to metal- or plastic-covered loops on any of the Orca audio bags. In addition, it is compatible with any Orca audio harness or audio/mixer belt. 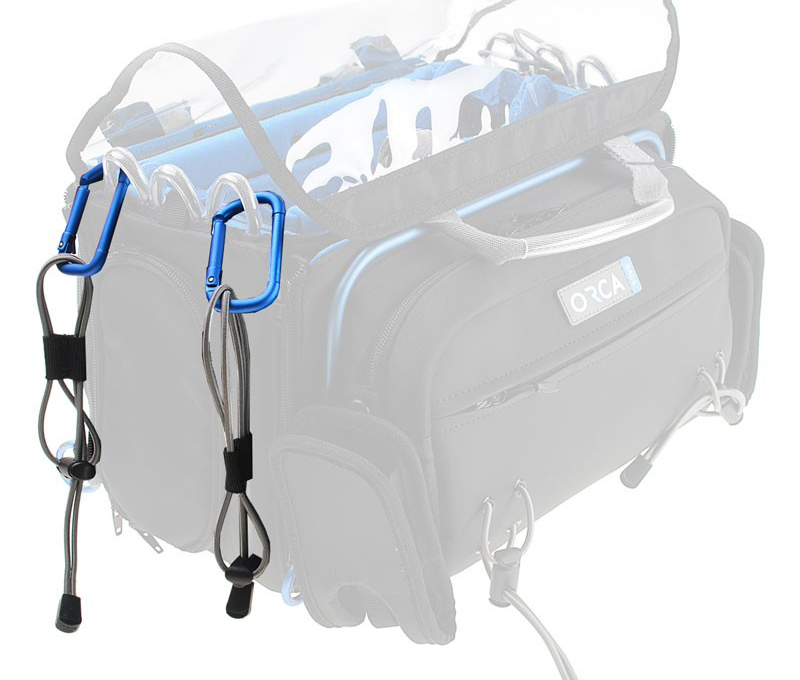 When using the OR-42 and once it is secured from the loop, the bungee cables can be tightened or loosened depending on your need. 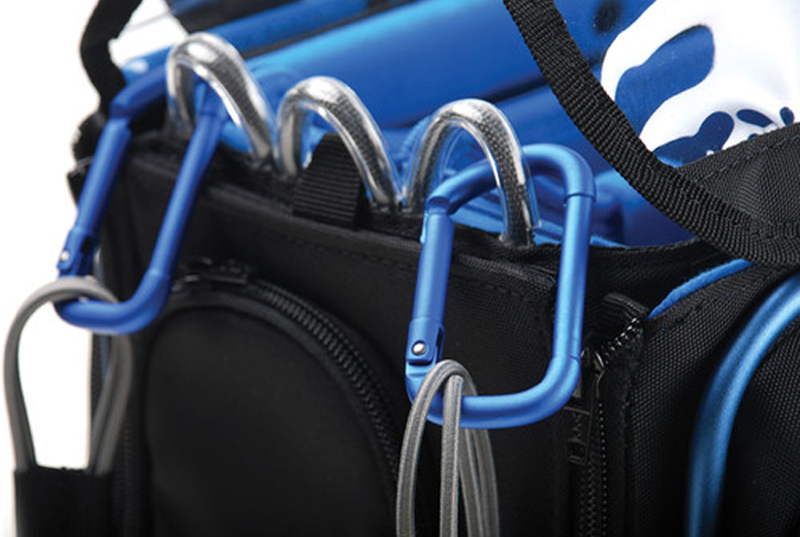 Never drop you headphones or worry about excess cables when they are fastened and secured to your Orca bag.